At ChannelNet, we are digital pioneers and recognized leaders in delivering insights-driven personalization solutions that drive engagement, retention and commerce. Our Software as a Service (SaaS) solutions are designed to create a seamless customer experience across the increasingly Omnichannel business environment. We’ve been doing this for 32 years. In that time, we’ve been first to market quite a few times, and we hold multiple technology patents. Early on, we recognized the importance of insights-driven one-to-one personalization – pioneering the world’s first personal customer website. We have the depth and breadth of talent to help our clients succeed. We are a software company with the skills of a marketing agency, and the analytical chops of a strategic consulting firm. We know that speed to market is essential to staying on the leading edge. Utilizing our SaaS platform, we can typically deliver marketing platform solutions in 90 days or less. We understand the importance of branding, content, and design to the success of building seamless brand experiences. That’s why we combine the creativity of a digital marketing agency with the technical competence of a software technology company. We drive sales, increase revenue and strengthen customer loyalty and retention by connecting — and leveraging — the buying and selling processes across channels. Everything we do is measurable, and our motto is continual improvement via data-driven insights. ChannelNet's SiteBuilder™ platform is in its 5th generation and is a patented, scalable contextual marketing automation platform designed to get brands up and running quickly and effectively. SiteBuilder™ offers marketers the technology framework and functionality for deploying quickly, gaining efficiencies and flexibly evolving with continuous improvement. Once deployed, non-technical users can easily manage the company's solution — localizing, and automating content generation per customer behavior and other targeting rules. The first digital marketing campaigns in the world for BMW, General Motors and Ford. The first enterprise class sales automation software product, SalesExcelerator. Developed Ford.com, including the world's first dealer websites for Ford's 5,000 dealers. The world's first personal customer microsites. United States Patent issues for ChannelNet SiteBuilder™ software, a modifiable sales and marketing technology platform. The launch of OneClick Loyalty™ - the first customer loyalty & retention solution for automotive dealerships. Did you know we have quite a few native apps to our name? Our Mobile Enablement team is always on the lookout for ways to support our clients in the rapidly evolving mobile ecosystem. 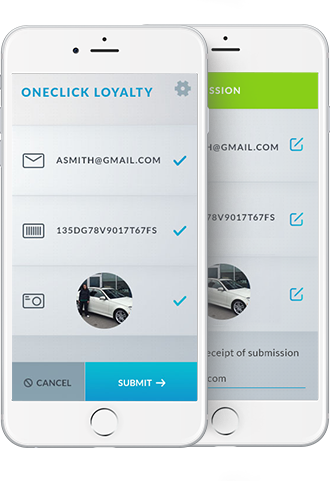 Check out OneClick Loyalty, our proprietary mobile app, built to support our automotive lifecycle management solutions. OneClick Loyalty is designed to drive increased customer email capture at point-of-sale, driving engagement and retention down the road, while offering customers an element of surprise and delight at that moment of highest emotional engagement – right at purchase.